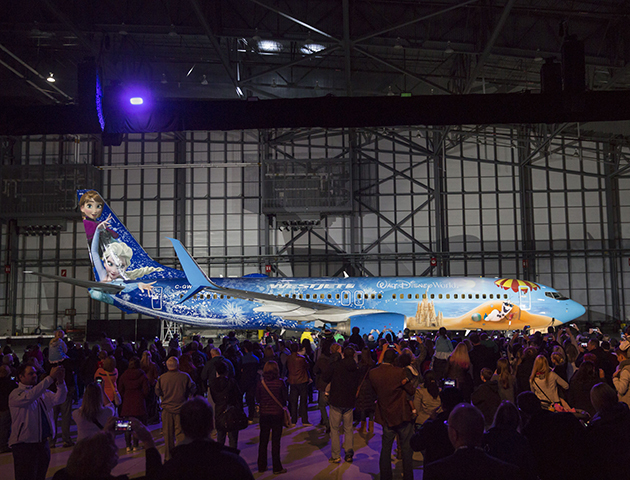 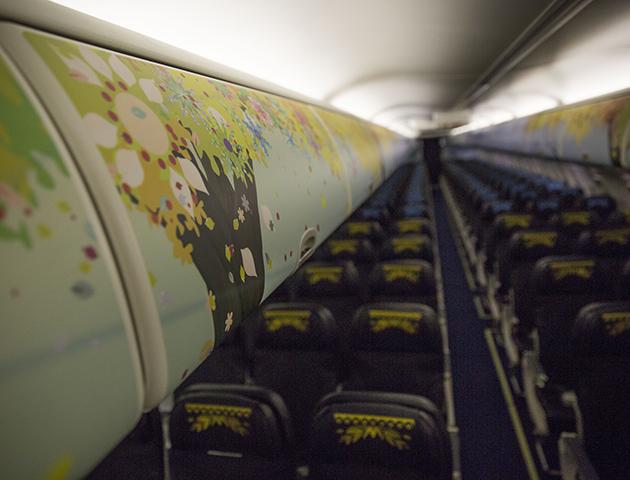 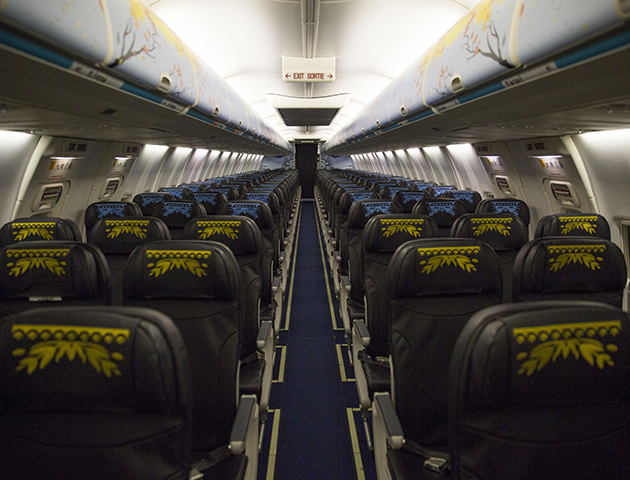 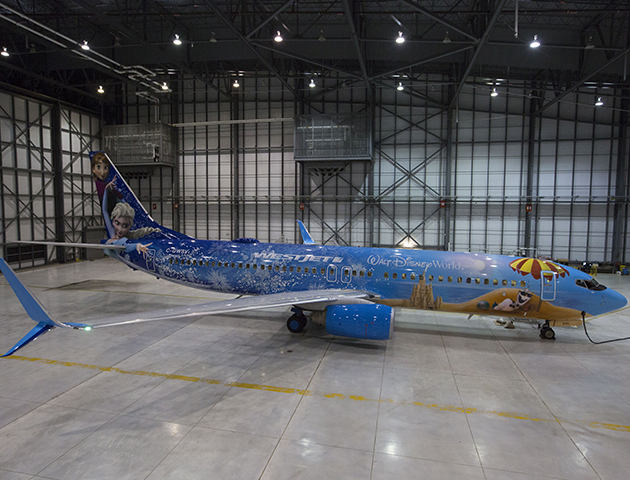 Canadian airline WestJet have partnered with Disney to create a Frozen-themed passenger jet. 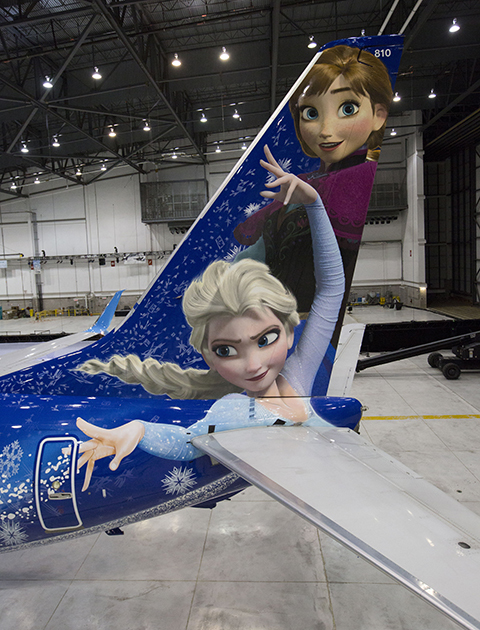 Featuring the main characters from Frozen, the tail of the aircraft features Anna and Else celebrating sisterhood and the magic of snow. 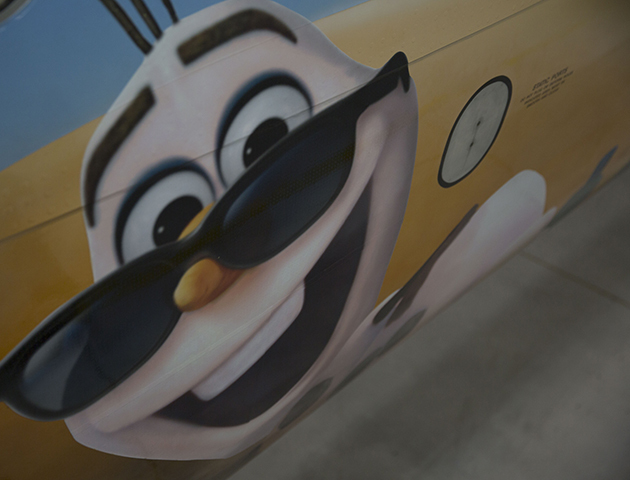 Olaf can also be found enjoying a summer day on the beach. 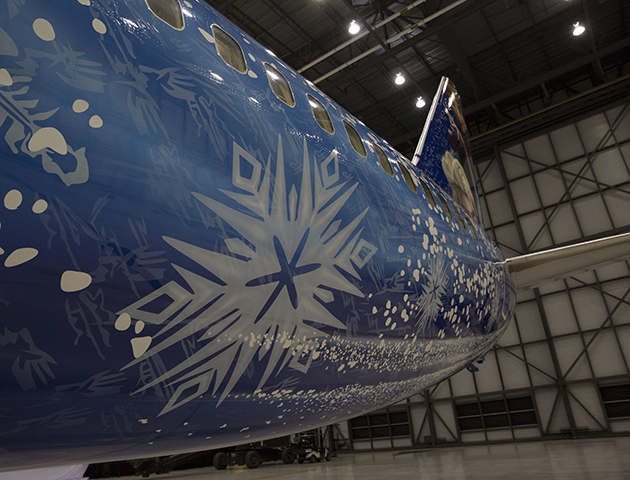 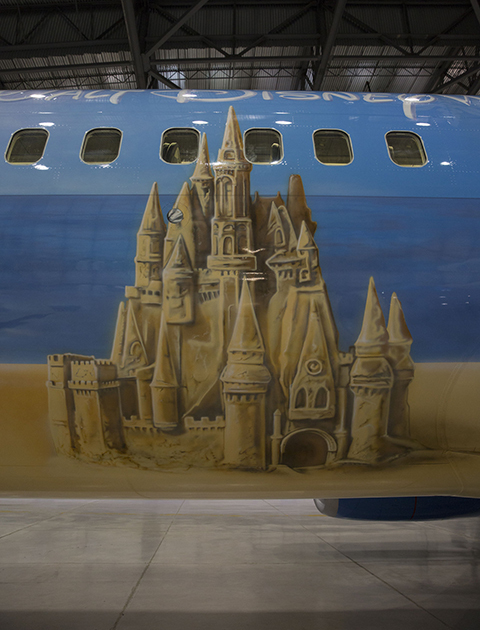 Painted in Fort Worth, Texas, the job took six painters 21 days of 12-hour rotations to complete the aircraft. 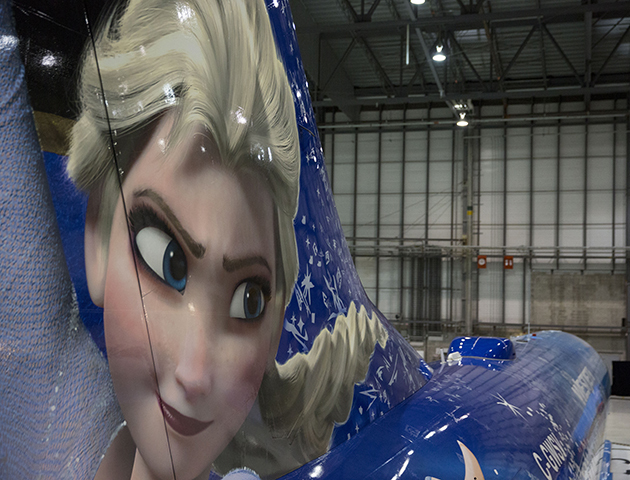 In total 643.5 litres of paint were used and sparkles were added to add shimmer and shine to the Frozen characters.